60023 passes Woofferton on 6 November 1999 with the 6V75 09:02 Dee Marsh to Llanwern steel empties. 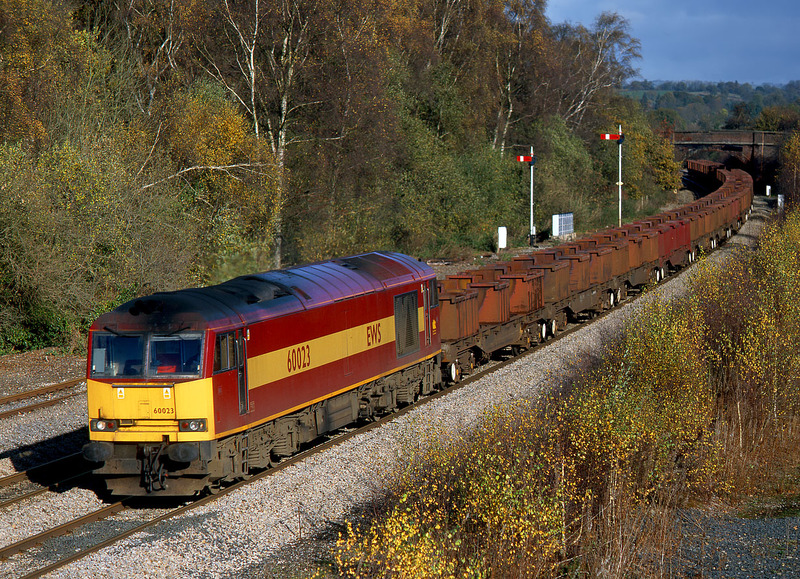 An ideal photographic vantage point on a sweeping curve with a background of trees and semaphore signals. Although I haven't been there for a few years, I would imagine the silver birches in the foreground are probably no longer just bushes and are blocking out the view, rather than just being a welcome bit of foreground colour!